The Archery Range and Walking Trail are located opposite the Marina. The Range is open to the public and is free. There are 14 stations on the walking trail. Each presents a challenge to the shooter both on distance and elevation changes. Pictured here are the stationary targets. The Geauga Bowman’s Association Friends of Punderson member Mike Ballash plans several events throughout the year. Check the Events page for upcoming events and the Archery page for more information on the Archery Range. PLEASE be aware that this range is active throughout the day. Be safe, keep your eyes and ears open. Be aware of your surroundings and observe hunter safety while on the range and walking trails. (Broadheads not permitted). The Campground is located at the end of the road that passes the Marina. There are many activities occurring throughout the campground throughout the summer. On summer weekends there are Ice Cream Socials on Saturdays and Megan Acord, the Park Naturalist, conducts many activities ranging from nature crafts to night hikes. In addition there is the weekend movie in the campground amphitheater. 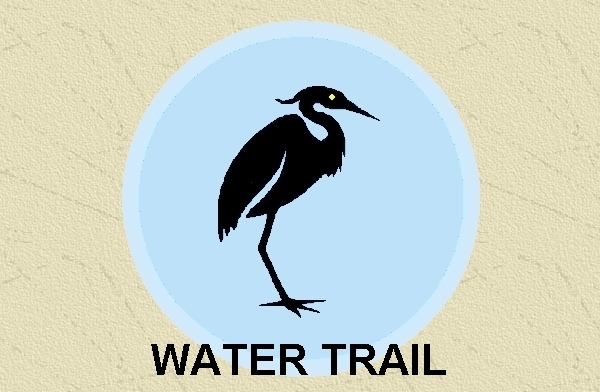 Details of the months events in the campground are posted at each wash house, the William B. Cleveland Nature Center, and the Check In stations bulletin boards. Also check the Events page for further information. The Disc Golf course and parking lot, located to the right just after you enter the park, is open to the public free. The course is currently 18 holes with red, white and blue tees. We hope to have an island hole coming soon! This wooded course works its way along the eastern edge of Pine Lake. Each hole is identified with a marker indicating the holes specifications and each has a beginner, intermediate, and advanced tee. If you do not have Disc Golf discs to enjoy this beautiful course they are available at the Lodge and Campground Check In. The areas Disc Golf Associations, along with Friends of Punderson members Thomas Mote and Steve Pavick plan several tournaments throughout the year. Check the Events page for upcoming events and the Disc Golf page for more information. The 18 hole pro Golf Course and pro shop is located on the right as you travel in on the parks main road. The course is long and demanding, but worth the effort. The par 72 layout stretches over 6,800 yards and offers some especially long 3-and 5-par holes on the backside. Hours are from 6:30am – 8:30pm weekdays and 6:00am – 8:30pm weekends. Phone (Pro shop) 440-564-5465. Feel free to visit their website for further information. The lodge, located at the end of the main road offers rooms and cabins. The lodge may also be reserved for special events such as reunions, conferences, weddings and wedding receptions. A full service restaurant is available. Guests can enjoy the indoor or outdoor pools, volleyball, tennis, and shuffleboard courts, or just enjoy the beautiful views whatever the season. Use the link below for more details on the Lodge. The Marina Picnic Shelter, located opposite the Marina on the road to the campground, is available for rent for $50 all day. The pavilion holds 51 people, has fixed charcoal grills, and a large open grass area for activities. The handicapped flush toilet restrooms are within 50ft. Call the Punderson State Park Office at 440-564-2279 for availability. A permit application is provided through the link below. The William B. Cleveland Nature Center is located near the entrance to the campground. It is open only during the summer season. 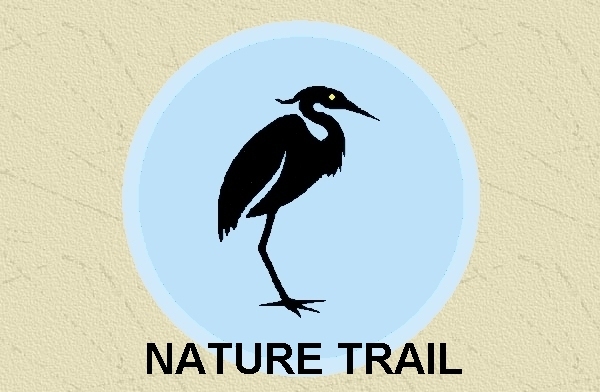 The Parks Naturalist will be available to answer your nature questions. The Naturalist also conducts several weekend programs throughout the summer which are free to all. Please visit the link below for program dates and times as well as any other information from the Park Naturalist. The Sports Chalet is located to the left just after you enter the park. The heated facility is available to the public spring thru fall for meetings and receptions by calling the Park Office at 440-564-2279. During the winter the lighted sled hill and snack bar are open to the public (Weather permitting). Warm yourself after a hard day of sledding with a hot cup of coffee or cocoa in front of a hot crackling fire. On a snowy day call the Park Office for hours of operation. There are several sports courts located throughout the park. Pictured is the basketball court located next to the Check In station and the tennis courts located adjacent to the Chalet. Both are free and open to the public. There are basketball, sand volleyball, tennis, and shuffle board courts located at the lodge for use by the lodge guests. A basketball half court is located at the end of the picnic area parking lot. The park has about 10 miles of trails available for your use throughout the year. The trails are maintained in large part by The Friends of Punderson. Click on and print the color coded trail map and enjoy.